Bitdefender 2018 Total Security. Best Antivirus Your Money Can Buy. Bitdefender 2018 Total Security is an amazing piece of antivirus software. Before going deep into the technical part, one must know what a virus is. A computer virus is a type of malicious software program. When this virus program is executed it automatically duplicates itself. And this software modifies other computer software programs by inserting its own code. Infected computer programs become affected in data files or the boot sector of the disk drive. When this duplication occurs, the affected areas become infected with a computer virus. Majority of viruses target systems running Microsoft Windows operating systems. Viruses often deploy complex anti-detection strategies to evade the antivirus software. Motives behind the viruses are many. From profit-seeking, ransomware, sending political messages, personal amusement or sabotage. Another motive is to demonstrate that vulnerability exists in all software. Computer viruses currently cause billions of dollars worth of economic damage each year. By causing system failure, wasting computer resources & corrupting data. In fact, all these factors eventually increase the maintenance costs. For many years now open source free antivirus software has been available by software companies. Symantec, AVG, Kaspersky, Bitdefender, BullGuard, McAfee, Avast, Avira, Trend Micro, Panda & Comodo are some of these. As we see more and more sophisticated viruses designed, free versions of the antivirus software becomes too weak to detect. If any virus cannot be detected in its initial infection stage than it corrupts the whole system including the freeware antivirus software. 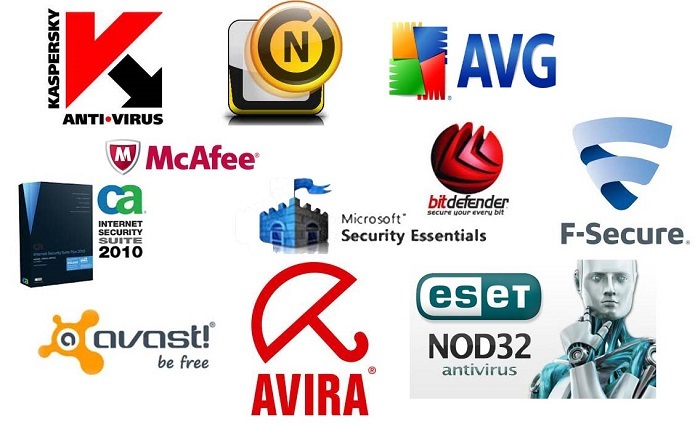 We recommend choosing the best antivirus you can afford. Our rigorous testing has put Bitdefender 2018 total security on top of the list. With one of the deepest arrays of protective features, Bitdefender 2018 total security antivirus sets the standard with ultrafast quick scans, minimal system performance overhead, and the ability to customize most aspects of your protection or let the program do it. Bitdefender uses the same protection on all its Windows consumer products. This protection starts with a file-scanning engine that looks for matches to known exploits. There’s also heuristic monitoring that watches for signs that an attack is underway. Anything suspicious is uploaded to the company’s cloud network for immediate analysis. This allows bit-defender to quickly develop (design) virus removal even for the newest viruses. Bitdefender updates all malware definitions and sends them out to its 800 million users every day. If you’re not happy giving Bitdefender information about the configuration and activity of your computer. You have the option of turning this off during the initial installation. Bitdefender autopilot feature is truly amazing. Autopilot automatically adjusts the software’s defensive posture based the condition of your computer. Including total resources used, memory & CPU usage etc. You can also individually select applications for uninterrupted usage. Like Games and Movies. Bitdefender antivirus products provide some of the best protection against hackers and ransomware in 2018. In our individual evaluations performed in 2017. Bitdefender 2018 total security removed even the most infected computer from all its viruses. Other independent testings also rate Bitdefender 5 out of 5 stars. Look for Bitdefender special promotions from time to time. You can purchase Bitdefender 2018 Total Security for $50. This is for a five-user, one-year license version. The five-year license is great if using multiple PCs. Non-genuine Microsoft Windows is more vulnerable to get infected by Malware, spyware or viruses. For example, licensed copy of Microsoft Windows 10 operating system installation should not cost more than $180. See your expert computer repair shop for your entire antivirus & windows needs.